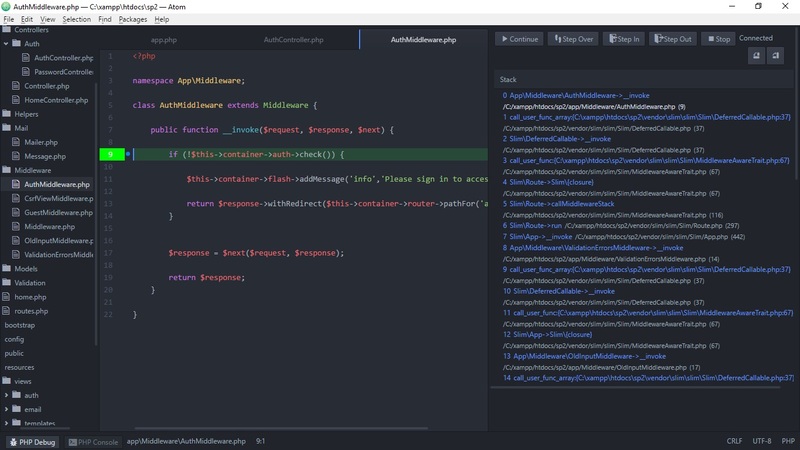 Yesterday I spent a large part of the afternoon getting debugging for PHP up and running on Atom editor. Although it turned out to be relatively simple in the end I did a lot of banging my head against stack overflow pages to get there, so here are the steps that worked for me. I’m assuming you already have XAMPP and Atom installed. To get XDebug, go here and follow the instructions. This will ask you to paste in your phpinfo output and will recommend you an XDebug version to install. Then follow the install instructions it provides. Mine is already installed, but you should see an Install button. 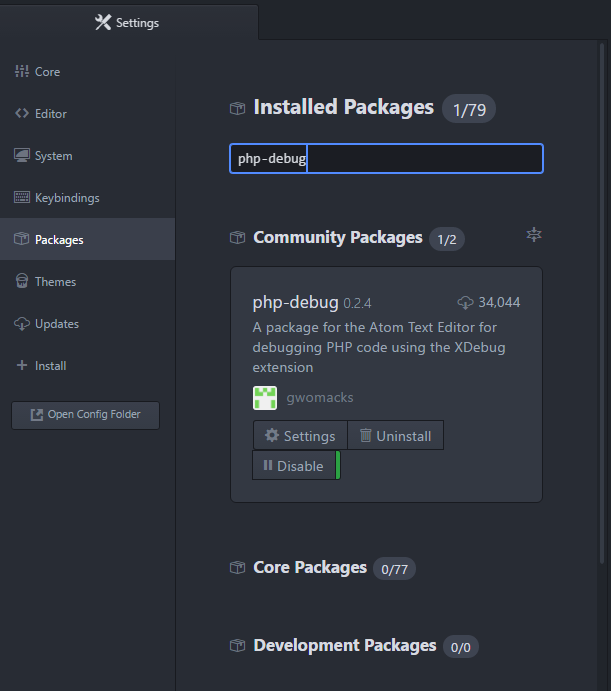 Just click on the install button and Atom will do the rest for you. Now try setting a breakpoint – either click next to the line number you want to break on or right click and toggle breakpoint. But the breakpoints in my code were not getting highlighted in green like they were supposed to be. This seems to be related to path mapping. 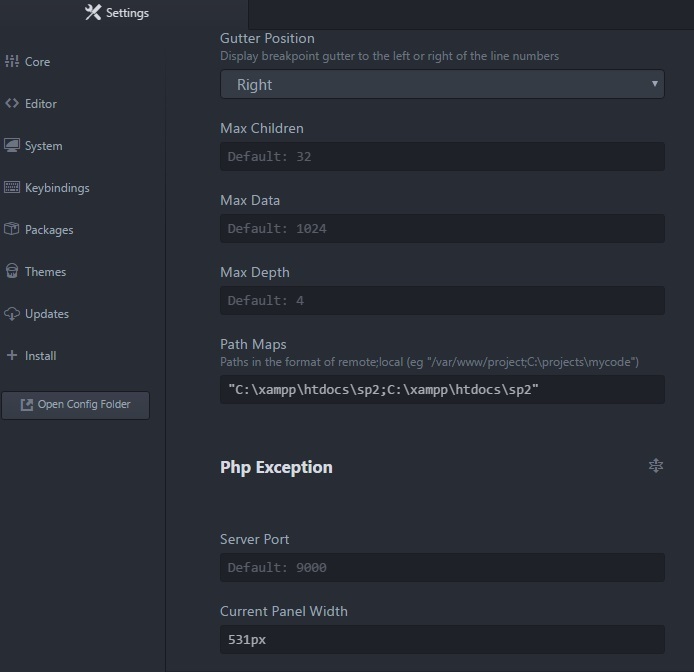 Since I am debugging code that resides on localhost, I didn’t think I needed to set up any configs for remote path mapping, however it proved necessary. In PHP-Debug’s settings (File > Settings > Packages > PHP-Debug > Settings) there is a section on editing Atom’s config file, config.cson, however I had more luck with just putting these settings in the GUI (one reason being that I overlooked the escaping the backslashes in my Windows path). The path mapping settings are significant – both sides of the semicolon are the root of the project I am debugging. I tried a number of different combinations here but only this worked. All other settings are default. Et voila! My breakpoints are now being highlighted in bright green, just like a highlighter! 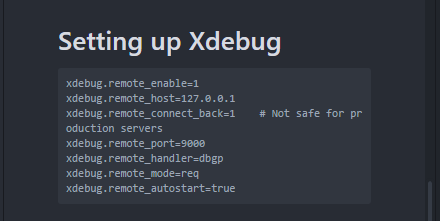 Scroll down past all the settings to the README and then skip to the “Setting up Xdebug” section. There is a list of xdebug configurations that you need to put into your php.ini file – just copy and paste these straight in under the other commented out xdebug settings (tidy up later if you like). 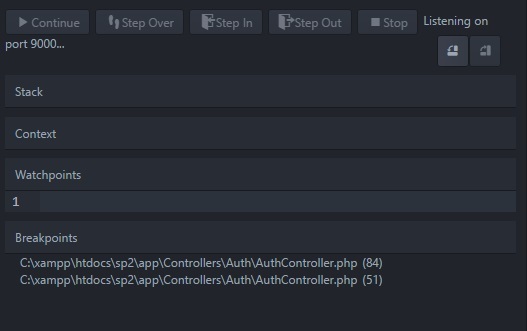 Now, you have two options here, the first being keeping xdebug.remote_autostart set to true and theoretically it should always be running and return control to Atom whenever PHP hits a breakpoint. This didn’t work for me at all, and I spent a lot of time trying to fix it before giving up and going with the second option of using a browser plugin to control all that. So in your php.ini file set xdebug.remote_autostart to false. Remember to restart the Apache Server for those php.ini changes to take effect! This will take you to the settings page. 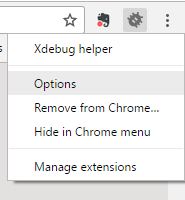 Select “Other” from the dropdown, set the IDE key value to xdebug.atom and click Save. 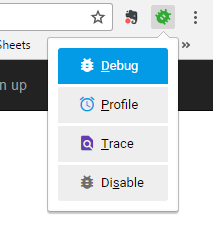 In Chrome, navigate to the page you want to debug and turn debugging on in XDebug Helper. (debug bug turns green).